When I saw this cottage in this issue of House and Home, I was smitten. 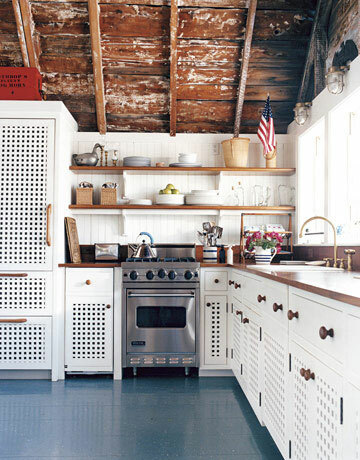 It has everything a cottage should: Light, white interiors, vintage charm, and an eclectic mix of pieces. I love that it has a midcentury flavour without appearing too mod. 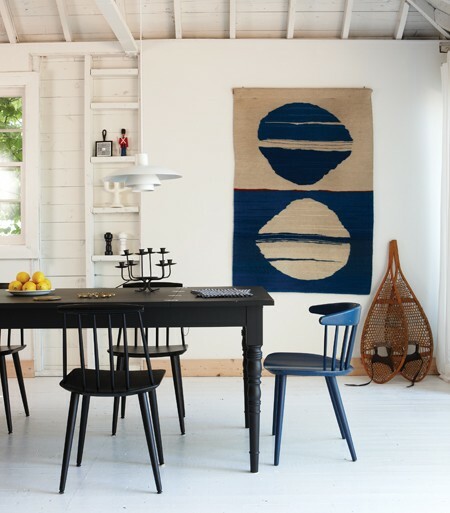 Finally, nautical touches, no matter how cliche, belong in a summer home! 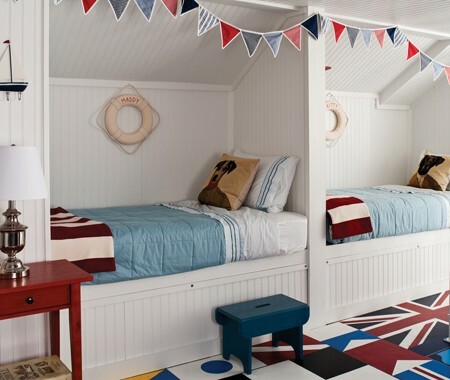 I would love a cottage with whimsical rooms for the kids, an outside fort, nooks and crannies to hide in and tell ghost stories...shared rooms and bunk beds are a must! How about you? Do you own or rent a fabulous summer space? thanks for posting these, I'll be pinning them to pinterest to be inspired by in the future too!